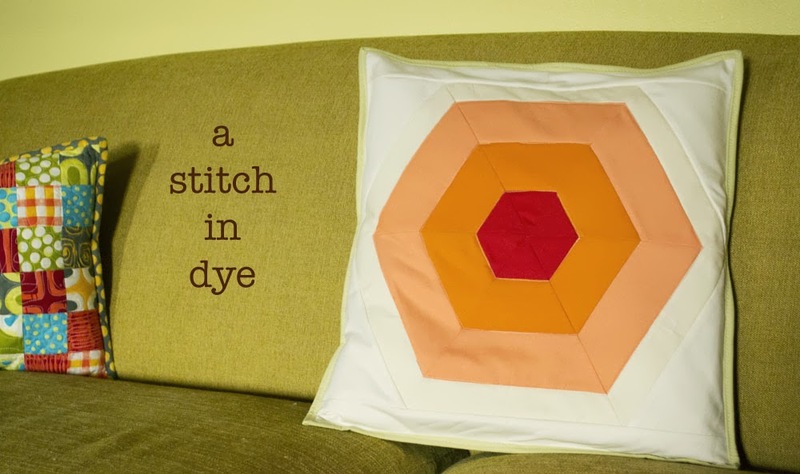 a stitch in dye: Break free. Go bold. That's just a taste of the encouragement you'll encounter if you read through Jacquie Gering's and Katie Pedersen's new book, Quilting Modern: Techniques and Projects for Improvisational Quilts. 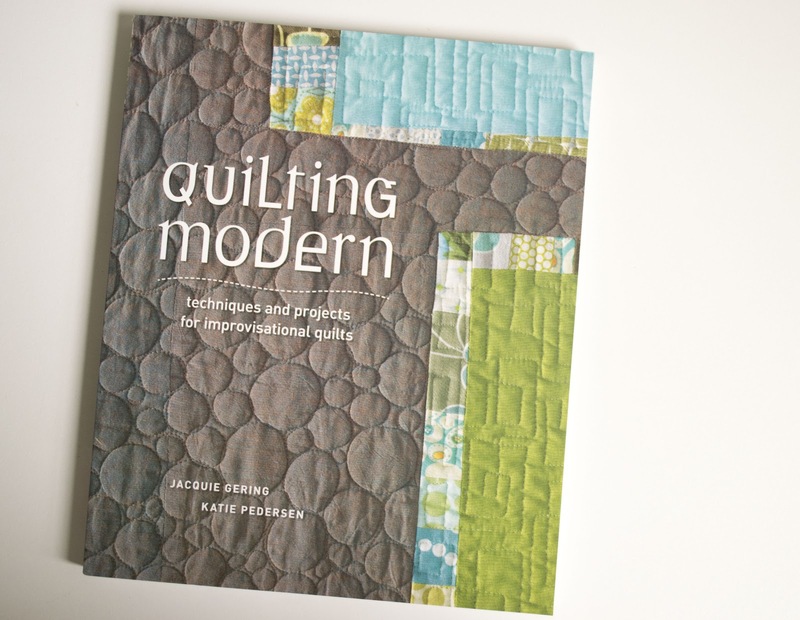 If you've ever thought, for even a moment, that you'd like to explore improvisational piecing techniques, then this is a must-have book for you. And, if you haven't thought about exploring improvisation, then this book is still for you. Why? 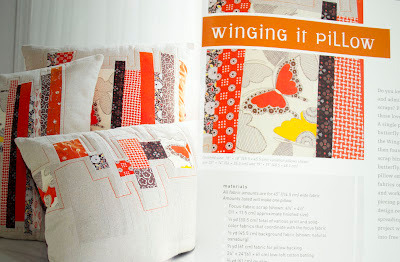 Because it is so crammed full of eye-candy that you"ll wonder why you haven't yet played with this process. Also, if you're looking to try these techniques on smaller scale project, then they've still got you covered because there are 3 home dec projects to fit that bill. Lest you think that this book is just about projects without giving you the tools to really "discover" improvisation, fear not. 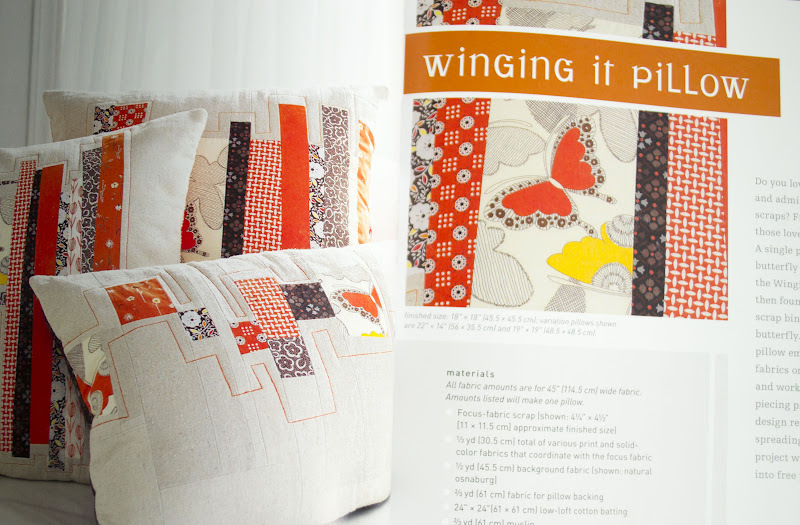 There is a super extensive techniques section, advice on strip piecing, curved piecing, crazy piecing, and more, all with an improvisational approach. This book really tackles all the trepidation many folks have about improvisation and walks you gently through this process. 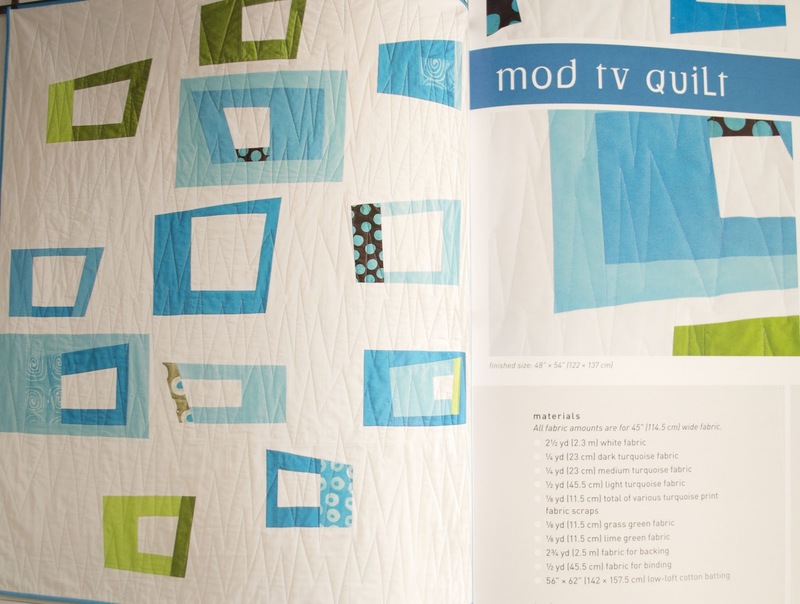 It's unique and, for the modern quilter especially, incredibly timely and useful. 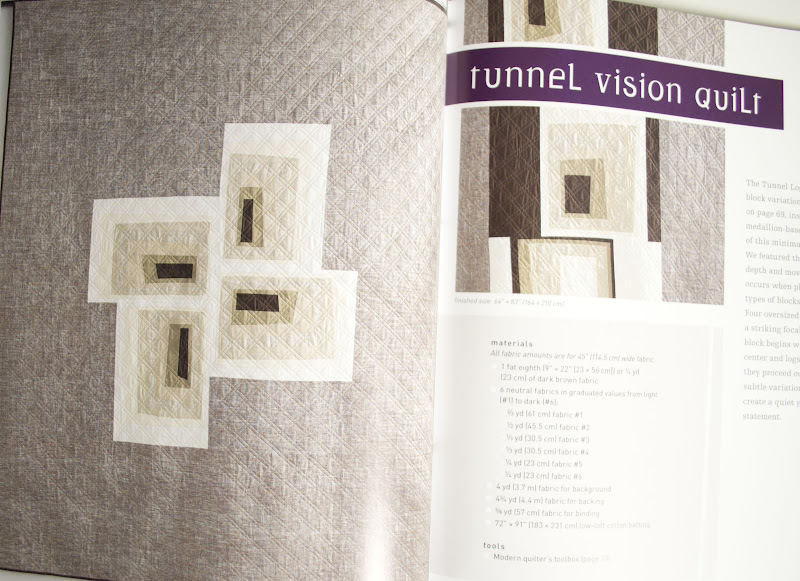 Thanks for a peek inside the book - it looks like it is full of inspiration! Thanks for the review. The book sounds good. Thanks for the photo journey and book review. The pillows look wonderful. this book is going to be a keeper! I can't wait to "learn" how to work in the improv style. Thanks for participating in the celebration weekend. 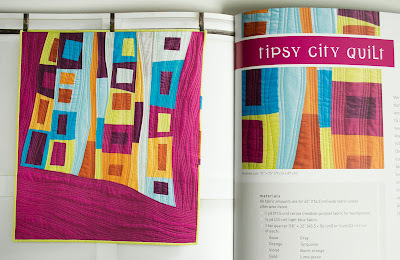 love the colors on the tipsy city quilt! these look gorgeous. The more I see of this book. . . I think it will have to be in all my sewist friends gift boxes this year. I've really enjoyed the blog tour on this one. The idea of becoming more "free" with my creating is really settling in with me. Ooh, love seeing more of the pictures. I must get this book! I agree, this is a fabulous book!! Thank you for showing the book pages. This looks really intriguing, I think I'll have to give it a try. Another book to add to my "Gotta Have It" list! This party is making me drool! Love all of the inspiration! 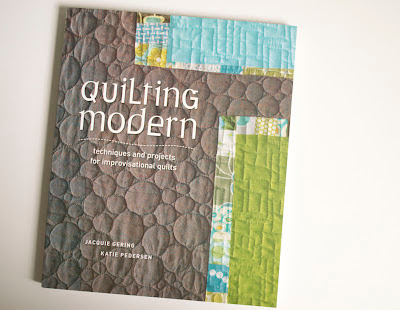 Great to see more beautiful projects from this inspiring book! Thank you for your thoughts on the new book. Looks like a book for my Amazon wish list! I love the improv look. 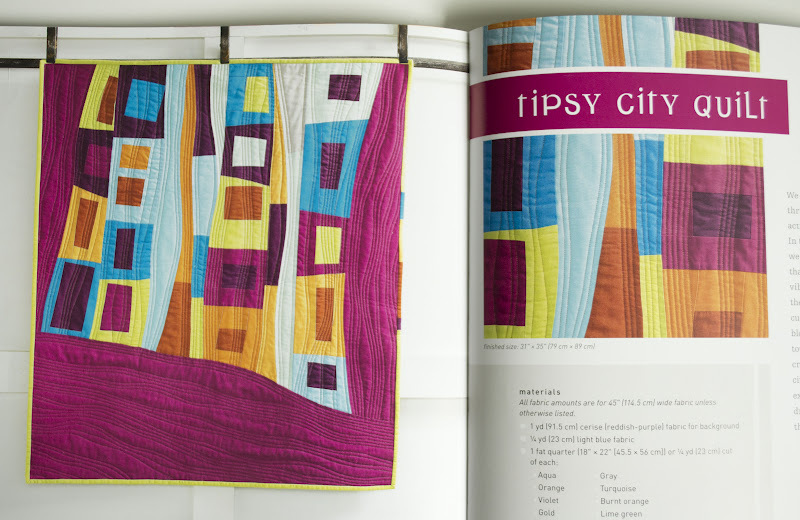 There appears to be endless inspiration in this book and talk about quilty eye candy! 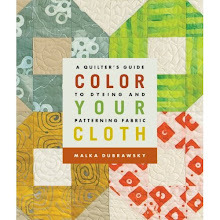 Thanks for your review, Malka. I definitely need to get this book! Thanks for the intro to what looks like an inspirational book. Can hardly wait to see it in person! Thanks for being a part of our weekend. You continue to be an inspiration! !